The study of Technology Management is a variable area of study that combines new technology applications with the fundamentals of business management. Students who complete this particular course of study are usually in demand for entry to mid-level positions in a variety of businesses, governmental agencies, and other organizations. Students may choose to concentrate on a specific area of study within the parameters of Technology Management in order to make their degree more valuable to a certain section or industry in the business environment. A Technology Management degree is most often sought after by individuals looking to enhance their management skills and increase their knowledge about the many different types of new technology available on the market today. What Is a Technology Management MBA? The field of Technology management is a course of specialized study that is often included within the Executive MBA programs. This means that students who usually enroll in these types of courses are most likely already working professionally in their field of interest. The purpose of this type of study is to build leaders in the world of business that are already highly skilled managers in their careers but are also capable of adapting to the many changes that can come along as a result of implementing new technology. This course of study can not only teach specialized knowledge in the student’s preferred field of study, but can also cross industries where they may overlap. Acceptance in this type of program will put great emphasis on previous work experience. 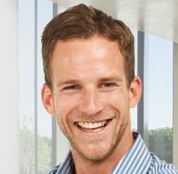 The fact that the foundation of study will rely on the student’s understanding of the core fundamentals of the business world will most likely require that they have been professionally employed in their particular industry for a period of ten years or more in addition to having obtained a Bachelor level degree in their personal field of study. After the completion of the core courses students will be expected to master a battery of specialized courses that include technology management courses and electives that focus on their field of employment. These can come in the form of extremely specialized electives. A Management Technology phase of study will give students in depth knowledge in managerial economics like supply and demand, production technology, costs and operation of markets along with how to use the technology related tools and systems to cover those areas of concentration. An Emerging Technology course will be offered in the form of a seminar. There, students will learn about the modern workplace as well as chemical and mathematical principles, commercial applications, technology competition and quantum computing. A completion of this phase of study will help students to appreciate how businesses will function in the future and how the new technology will help them. The Biotechnology elective was specifically designed for those who are already involved in the field of biotech. Students will have extended study in areas such as fund raising, grant writing and regulatory approval. Since this highly specialized area is often closely related to preventing disease, students may have a strong emphasis on research and development and have a medical background to support it. Some offer additional elective courses of study that include biopharmaceuticals, nanotechnology, operations management, and entrepreneurship. These additional classes give the student the opportunity to tailor their degree to a profession where they intend to launch their career. Because technology can touch on every industrial possibility in the modern world there is no limit to the area of specialization a student may choose. Many popular choices include the professions in security, healthcare, logistics, marketing and sales, and education; however, the options are not limited to these. Once you’ve received a degree in this field you will have a clear advantage over those in the field with similar experience. It is important for most computer and information systems managers to have an advanced business management degree, such as an MBA. Such positions require a strong leader with highly developed skills in leading others. Few of such managers do all of the duties that are described above. Such managers may also work in higher level technology positions such as chief information officer or chief technology officer. Software developers are very important technology workers who are essentially the creative minds that design computer apps and programs. Some software developers write the applications that allow consumers to do certain tasks on a computer or handheld device. Others work on the operating systems that run the computers, devices or control computer networks. Software developers typically work as either applications software developers, or systems software developers. In either case, upper level management roles are often held by professionals with a graduate degree in computer technology or business. According to the US Bureau of Labor Statistics, the demand for senior-level positions in your chosen field will be quite high. While still competitive, the median salary expected for these jobs will range somewhere between $66,590 for Financial Analysts to $158,560 for Chief Executives, with a wide range of other salaried positions fitting somewhere in between. Because of the wide potential for many to branch off into many different areas, it is difficult to measure potential salaries with any degree of accuracy. This is also true of those who are looking for figures that represent potential growth in the market in the coming years. Technology professionals who want to take the next step in their business career may want to earn their MBA in technology management. Below is a quality program worthy of consideration. 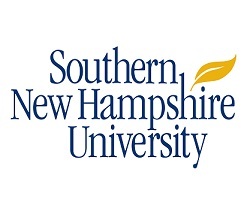 Experienced business professionals in information technology who want to accelerate their career growth will benefit from this Master of Business Administration in Information Technology Management from Southern New Hampshire University. This program can be completed in some cases in one year, providing you with a solid foundation in business management, as well as expert level skills in information technology. The rapidly evolving business and technology landscape has caused there to be very fast invention, adoption and refinement of IT systems in all kinds of companies around the globe. Businesses are busy leveraging these technology tools to boost the quality and profitability of their operations in both the domestic and global marketplace. Colorado Technical University has an MBA in Technology Management that is made to prepare you to lead companies in planning, developing and managing IT systems. This program will educate you on how to manage the technical parts of IT systems, as well as manage the entire business operations side of the company. Other Information: Three MBA prep courses are required for those entering the program without a bachelor’s in business.